More than 52,765 human beings are homeless in Los Angeles. It’s a moral stain on our society and a waste of immense human potential. The good news? You have immense power to make a difference in your own backyard by getting supportive housing built in our city. Join us and be part of the solution by RSVPing below! Join us for another action-packed meeting! We'll be hearing from an organizer with the Sunrise Movement about plans for a Green New Deal in LA and then breaking into action groups to continue organizing to get homes for the homeless built, to pass the Schools & Communities measure to fund our public schools, and to create a LA 101 guide. Plus book clubs! Our guest speaker is UCLA student Natalie Rotstein who helps to lead the Sunrise Movement’s LA Chapter. The Sunrise Movement is an American youth-led political movement coordinated by Sunrise, an organization that advocates political action on climate change. Natalie will share about her experience as a volunteer with this national organization, and outline the on-going efforts of the LA chapter to lobby our local elected officials in support the Green New Deal, as well as identify and organize around other anti-fossil fuel and pro-environmental initiatives that are particularly relevant to Angelenos. We're gearing up for a year of action and results in 2019. Join us as we strategize and hammer out plans together! We'll be celebrating our victories from Election Day and talking about how to keep winning and do even better in the months and years to come. Join us! LA Forward and SIJCC are partnering up again to get you all the info you need about the November 6th midterm ballot. We'll have experts on hand to engage with guests about the issues that are central to this election and to our future. $5 suggested donation to cover the cost of drinks and snacks. The California ballot is hella confusing, with more than 15 propositions in addition to all the candidates. Fix that by coming to our Backyard Ballot Bash where we'll be BBQ-ing, listening to music, and hanging out by (in?) 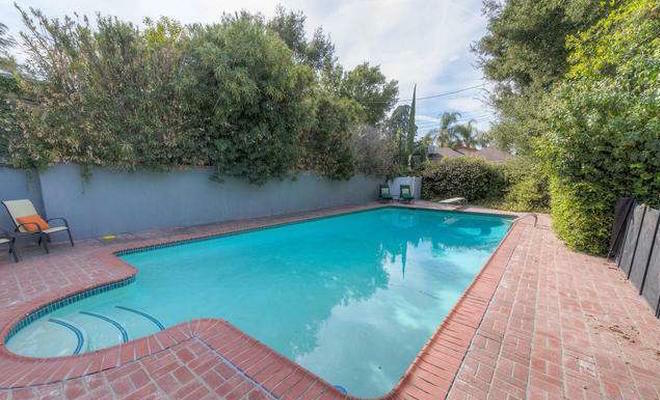 the pool! 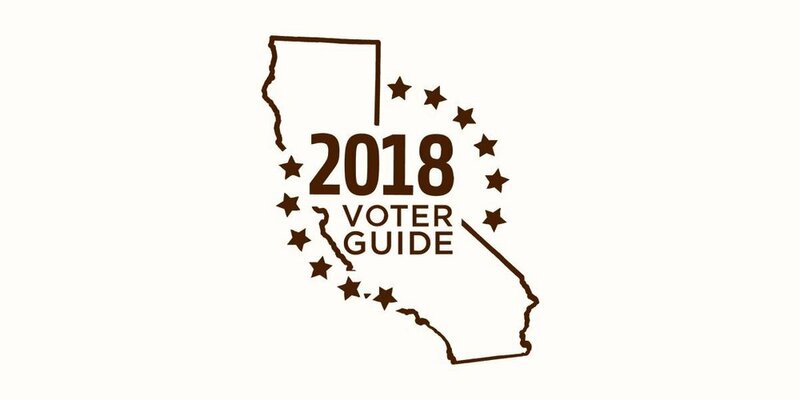 In the middle of it all, we'll have a conversation with the experts behind the LA Forward Progressive Voter Guide to make sense of everything on the ballot and get you all the info you need to vote smart. Don't forget your bathing suit and your sample ballot! The clock is ticking and we're feeling the pressure. I'm sure you are too. We have just 4 more weeks before Election Day. Come join LA Forward Action for our final meeting before the November 6th election. We've have been busy registering voters, phone-banking, and canvassing, and we are preparing for our final big push towards the midterms. Come and help us turn our collective frustration into action! Plus brainstorming how to get the word out about all the ballot propositions with LA Forward's guide. Join us as we build power at the ballot box and in the halls of power to win progressive priorities! We'll share updates on our voter education, registration, and mobilization efforts up and down the ballot. You'll be able to plug into the team that's working on your priority -- whether that's making sure the rent isn't so damn high or getting out the vote in key districts in Orange County. PLUS updates on campaigns to legalize street vending, ban oil drilling in residential neighborhoods and more! Can you let us know if you'll join in? Want an easy, fun, kid-friendly way to help flip the house while also socializing and meeting great people? We have the event for you! Come join our community event where we'll write postcards to people in key states, getting them excited about registering and voting. Postcards will be mailed through the ACLU to important voters who DID NOT VOTE in the last midterm election. And we even know this works - Sister District just published a study showing that sending postcard reminders can make people up to 20% more likely to register to vote. We will have snacks, postcards, and pens. Bring your friends, family, and kids. We will set up right next to the playground to make it easy for families to join. We'll also have information for other ways to get involved for those interested. For a fun added incentive, we have special prizes for the first 4 people to write 20 postcards! Interested? Let us know below! We will have snacks, postcards, and pens. Bring your friends, family, and kids. We'll also have information for other ways to get involved for those interested. Only 73 days to the election... what are you doing to swing the votes our way? Come out this Sunday to learn how and get started! Free snacks, free parking, and good people, PLUS training from friendly experts on what it takes to win elections and how you can get involved. We'll cover the basics of phonebanking and canvassing, plus tips for making time to do it all from experienced campaigners and trainers. Can you let us know if you can make it? Water is life and California doesn't have enough to go around. Learn how you can make a difference by hanging out with us in Venice! Featuring your new favorite young experts, activists, and elected officials. We'll be on the back patio of Sweetfin and 25% of what you spend will benefit LA Forward. Come listen to some of LA’s foremost attorneys and organizers about what powers the current administration actually has to criminalize immigrants and how we can resist, from lawsuits and legal representation for individuals to organizing protests and building the power to win elections. Talk Box: Stand is a panel discussion on immigration moderated by David Levitus, the founder of LAForward. Join us on for a special meeting of LA Forward focused on the November elections. We're getting organized to do voter registration and education here in Los Angeles. You'll be able to sign up to host or attend important local actions like house parties and community outreach. PLUS updates on our campaigns to legalize street vending, preserve and create affordable housing, ban oil drilling in residential neighborhoods and more! Join us for a first monthly meeting, where we'll spend an hour on learning and talking, followed by an hour of action to make change! This month we'll focus on housing issues, especially relevant with the repeal of "Costa-Hawkins" rent control restrictions on the November state ballot. Frustrated with the housing crisis? Confused about how the housing system works? Join us for this deep dive into how the housing system works, perfect for people who know almost nothing about the subject. Are you despairing about the state of our country? Here's something you can do that could make a huge difference. Make phone calls for money bail reform with us on July 12. We can get this done in CA and be a model for the states across the country! Our current money bail system is unjust and unsafe. Today, the amount of money in your pocket determines whether you will get out of jail. Many people cannot even afford 10% and often choose between getting out of jail and making sure their family has enough money to survive. Families end up in debt for years. Today, wealthy people can bail out of jail even if they pose a serious risk of injuring another person if released. We must fix this system! We will give you a phone script and train you before you start making calls. We welcome anyone to our phone banks—beginners and experienced phone bankers. Join us in this urgent action to support SB 10, the Money Bail Reform Act. LA Forward has grown by leaps and bounds since our first event less than year ago. Join in as we celebrate all we've accomplished together and our plans for the next year. No program, just fun with good people. Featuring music from the 50s, 80s, and the future, from a special guest DJ. Get your discounted Early Bird tickets today — on May 10, prices go up. California has an election on June 5th. There'll be races for basically every statewide office from governor to school superintendent and ¾ of all state legislators, and we'll be voting on five propositions. Should we invest in parks and environmental protection? Should you be taxed if you install a rainwater capture system on your home? How should we spend our transportation dollars? Join LA Forward and SIJCC for a discussion of all these ballot measures, based on LA Forward's popular voter guide. We'll have experts on hand for engaging discussion with you and the audience about our state's future. Interested in getting involved hands-on in the work of raising billions of dollars to fully fund our schools and community services? This is the event for you. Get all the info and training you need to get started! 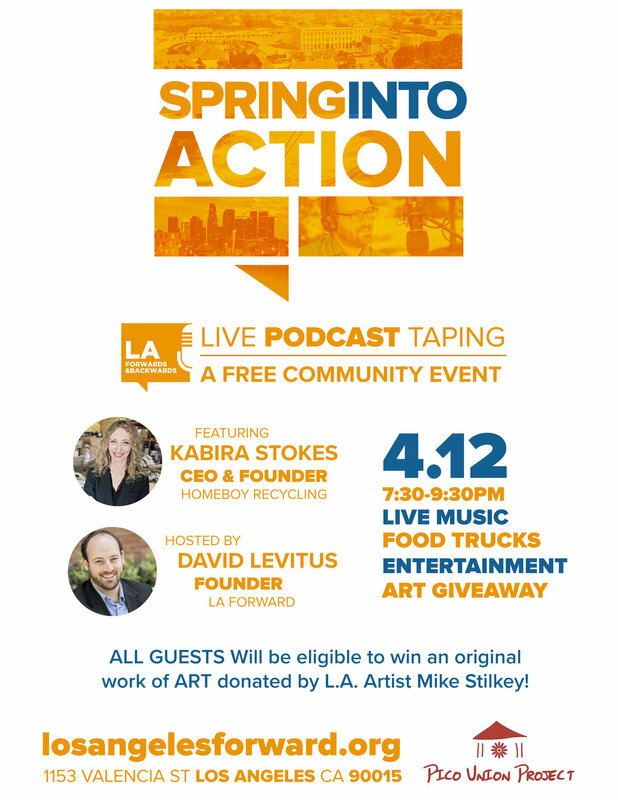 SPRING INTO ACTION - Live Podcast Event featuring Kabira Stokes on "Redemption Against the Odds"
JOIN US for a free community event as LA Forward's founding director and podcast host, David Levitus, gets on the mic for a special interview with leading social entrepreneur, Kabira Stokes. As Founder and CEO of Homeboy Recycling, Stokes will discuss Homeboy's work to discover great value in things that have been discarded by society, and share her inspiring, action driven approach to creating positive, lasting change in Los Angeles. And she'll tell the story of how an aspiring costumer designer from the suburbs of Philly ended up working for the LA City Council Council and getting a master's in public policy from USC, before going on to launch a successful business. Hosted in partnership with The Pico Union Project, this event will take place inside their majestic sanctuary. Don't miss this chance to SPRING INTO ACTION and connect with your community inside an historic space and hub for progressive Angelenos! DTLA bakeries will be on-site with tasty treats, along with LIVE MUSIC & a special GIVEAWAY. ALL guests will be eligible to win an original work of art by L.A. based artist Mike Stilkey. A master of recovering value, Stilkey's "Book Sculptures" feature whimsical paintings on the covers of discarded books and printed material. With Stilkey's work exhibited throughout the United States as well as internationally, this is a rare opportunity to collect a painting donated by the artist himself. Join us for a neighborhood hangout at the Surly Goat! Exciting News — we are repeating the Civics 101 course we did this fall at the Silverlake Independent JCC. Because even if you paid attention in high school social studies, our daily political news is probably confusing the hell out of you. How the government is “supposed” to work is very different from how it works in reality. And if you’re confused about all the executive orders, lawsuits, and investigations flying around the Trump administration, you’re probably even less clear on how our local governments are supposed to be dealing with challenges like our housing crisis. With a population of 10 million people and a budget of $30.1 billion, LA County, on its own, would be the 9th largest state in the country. The Make It Fair campaign to close a commercial property tax loophole and raise more than $11 Billion for schools, community colleges and other vital community services is taking off. We'll do a quick overview of the issue, talk strategy, and kickoff our plans to help gather signatures and educate the public. A meet up and happy hour for progressive leaders and progressives looking to get involved for the first time from the Eastside, San Gabriel Valley, and Southeast LA County! Brought to you by LA Forward, which is building power among a diverse younger generation to enact progressive policy across the County.